This model train is sold out! been delivering a wide range of top-quality trains that share the excellent detailes, extensive features and extreme value that appeal to all modelers. 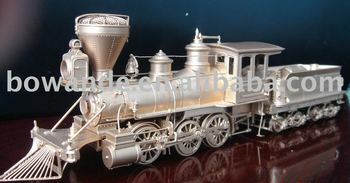 Whatever your project, let's demonstrate our creative approach and flexibility to provide you with the success you require, and we welcome OEM orders of G, O, HO brass train models.